The SP-800P are Vision's most cost-effective audio solution. They are purpose-built for small meeting rooms and classrooms. 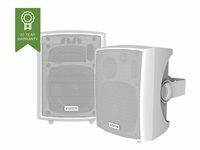 Incredible value for money; they offer great sound quality and Vision's trademark ease of installation.